This last week has been the pinnacle for the 2018 autumn climbing season across the Himalayas in Tibet and Nepal. Sadly a Czech climber is missing after summiting Manaslu and the long-coveted ski descent of the Lhotse Couloir is apparently completed but not confirmed. This week will wrap up the volume teams leaving a few small, mostly independent climbers still attempting their peak. One point about this season I’ve noticed is that there are many, many, many small teams lead by Sherpas out of Nepal. The old-guard of western guides are here and there but most of the volume include Chinese and Indian climbers supported by Nepali companies. All of this is a continuation of a trend that stared over five years ago of local climbers – throughout the world – establishing credible guide services to cater to the growing demand. Often they compete on price but that is also changing with many local guides charging the same as long-time western outfits. In any event, it has become more and more difficult to track 30 teams with 5 people each than 10 teams with 15 people each. I do the best I can but will certainly miss mentioning some climbers and guide services. As a follow-up to the regulator issues experienced by several teams on Everest this past spring, Summit Oxygen tells me that there have been no failures since that event in May on other 8000-meter peaks. Garett Madison told me his SO kit performed fine on K2 in July. 7 Summits Club‘s Sergey Larin, guide and head of their expedition on Shishapangma from Tibet noted their summits “Today at 8:30, Sergei Larin, Zygmunt Berdychowski and Igor Smirnov, that is, all members, as well as all the Sherpas climbed to the top of Shisha Pangma” It’s unclear if they made the true summit as that is rare to cross the extremely dangerous and heavily corniced summit ridge. Seven Summits Treks claimed more summits on 29 September 29 with 1 Spanish climber, 2 from Chile and 3 Sherpas. Luo Jing Cheng who became first Chinese to summit all 14 8000-meter peaks in a record time of 6 years, 11 months and 25 days breaking South Korean Kim Chang Ho time of 7 years, 10 months and 6 days. She summited Shish with Norbu Sherpa” She comes the 41st person to compete the 8000ers according to Wikipedia. This is a nice interview with her in China Daily. Congratulations to her! UPDATE: According to this report no one reached the true summit of Shish so they cannot claim to have summited all 14 of the 8000ers. Its a shame they felt they needed to name such a false claim when there were other climbers who video them turning back. It brings into question many of this tam others summit claims. 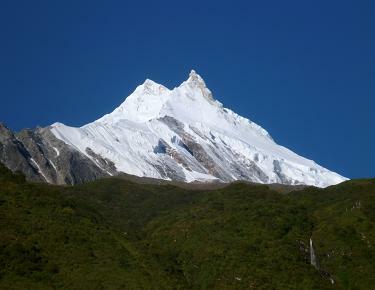 Seven Summits Treks had more summits on Manaslu including a large Chinese team of 11 with support from 6 Sherpas. See this link for names. Also Asian Trekking had success on Manaslu with 12 Chinese members plus 13 Sherpas all led by Dawa Steven Sherpa. They summited on September, 29 2018 between 6 am – 8 am. As previously reported, Seven Summits Treks fixed the rope to the summit on September 25, 2018. They were Gyaljen Sherpa of Solukhumbu, Mingma Tenjing Sherpa, Tenjing Chhimbi Sherpa and Temba Bhote of Sankhuwasabha. Tagging behind them were Brazilian Moeses Fiamoncini and Spainish Sergi Mingote who summited Broad Peak and K2 a few months ago and is off to Dhaulagiri now. On September 26, Arnold Coster, part of the 7ST gang put 12 people on the summit – 6 Sherpas and 6 members. As well as 7ST posted with a large International group plus 1:1 Sherpa support on September 27. Also Pioneer Summits’ Pasang Sherpa said they had 9 Chinese, 3 Indian and 1 Polish climber summit. Sadly, it’s being reported that Roman Hlávko, 43, from the Czech Republic has gone missing after he summited. He was part of a 14 person team run by Mount Treks Nepal. The article says, “that other climbers only realised that Roman was missing when they arrived at Camp III.” A rescue team was dispatched but stopped at C2 due to avalanches on the route. Unfortunately, they had bad news for us. The Jetstream will reach the dhaulagiri region on 1. October and bring winds of over 80 km / h by at least 7. October. The decision was made, because even if the winds were to be put back within a week, it does not mean that the conditions on the mountain will be better. German Herbert Hellmuth and Russian Sergey Baranov aimed to ski from the summit of Dhaulagiri but their plans are unclear at this moment. Dhaulagiri has become more popular recently but also proven to be a damn hard peak to summit between weather, heavy snow, high winds and difficult route finding at times. Hilaree Nelson and Jim Morrison along with Nicholas John, Dutch Simpson plus Ila Nuru Sherpa, Fu Tashi Sherpa and Urken Lendu Sherpahave reportedly summited Lhotse. Xtreme Climbers provided their logistics and support. They were scheduled to ski down the Lhotse Couloir and I assume they did but no details are available as of this posting. They were also supported by two icefall doctors – Yangda Sherpa and Nim Dorchi Sherpa who put the route, including ladders and rope in thew Khumbu Icefall. Two Russian climbers/skiers, Vitaly Lazo and Anton Pugovkin, are hoping to ski down Annapurna I at 8,091-meter/26,545-feet. The have reached C2 at 5,600-meters/18,372-feet. Their last report said they were experiencing a lot of fresh snow requiring time to settle. No new updates. Back to Nepal for Me! With the autumn 8000-meter season closing, I wanted to share with my readers about my own plans to return to Nepal. I leave next week to join my dear friend Kami Sherpa to trek and climb Island Peak aka Imja Tse at 20,305-feet/6,189-meters. It is located just over the ridge from Everest and Lhotse and you reach it by trekking through the Khumbu. As you may remember Kami and I have summited Everest (2011) and K2 (2014) and had two attempts on Lhotse (2015/2016) that were stopped by the earthquake and me getting sick. As is my custom, I will be raising awareness and funds for Alzheimer’s research. I’m very excited to announce that through the Cure Alzheimer’s Fund Jim and Carol Beers will match every donation from my followers during this expedition up to $10,000. You can make a donation at our Crowd Rise fundraising site and also form a team to see who can help us reach the goal of $20,000 (I would love to see $25k!) We already have close to $3,000 even before I leave. This will be a personal milestone for me as well. On February 10, 2017, while training for the 8000-meter peak Dhaulagiri, I was on a simple 11,000-foot peak here in Colorado when a wind gust cartwheeled me into a scree field breaking my right tibia and fibula in three places. A full year went by before I started to feel like myself. However, I was nowhere near where I was or where I wanted to be. Over the past 18 months, I have had some serious questions to answer about my physical future and it required digging deep but now, after a summer of climbing Colorado 14,000-foot peaks, I feel ready to get back in the game. Please Donate Today and Follow Along. Hi Alan, do you know whether Luo Jing summited the main Shisha peak or the Central? Other sources say she reached 8013m, but this should not count for 14×8000. Thank you Alan! Truly remarkable numbers. Keep safe and strong! All the best.